"I’ve always tried to be aware of what I say in my films, because all of us who make motion pictures are teachers — teachers with very loud voices." Based on the classic story of a young man’s battle with the forces of evil, George Lucas’s 1977 film STAR WARS introduced a modern myth to a new generation. A primal tale set in a distant galaxy, STAR WARS revolutionized special effects, forged new frontiers in sound design, and brought audiences to movie theaters in record numbers. The two sequels to STAR WARS, THE EMPIRE STRIKES BACK and THE RETURN OF THE JEDI, along with Lucas’s adventure trilogy of Indiana Jones movies, are among the most popular films ever made. 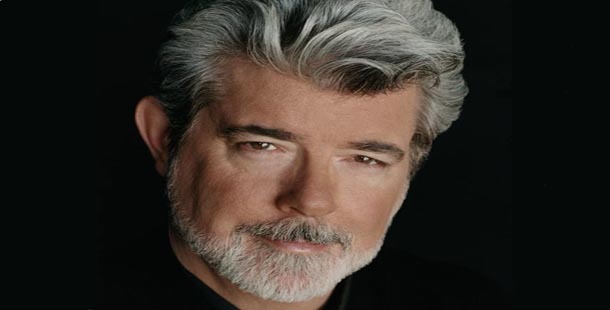 Coming of age in Modesto, California in the early 1960s, George Lucas loved to write and considered becoming an English major until a childhood friend suggested he apply to The Cinema School at the University of Southern California. Even in his student days, his experimental films walked away with top honors at student film festivals. In 1973 Lucas had his first feature-length hit with AMERICAN GRAFFITI. AMERICAN GRAFFITI was produced by Francis Ford Coppola, a friend and mentor of Lucas since his days in film school. Sweeping up America in a wave of nostalgia for the summer nights of teenage innocence, AMERICAN GRAFFITI was one of the most profitable movies ever made. Its success gave Lucas both the following and economic resources to begin an even bigger project. Lucas spent the next four years hard at work on the first in a series of science fiction movies. STAR WARS (1977) was one of the first movies to take advantage of the advances in special-effects technologies. The movie created an entertaining fantasy world where important moral and ethical decisions were constantly intertwined with everyday life. Speaking of STAR WARS, Lucas said, “There was no modern mythology to give kids a sense of values, to give them a strong mythological fantasy life. Westerns were the last of that genre for Americans. Nothing was being done for young people with real psychological underpinnings.” In the writing of anthropologist Joseph Campbell, Lucas had learned about the myths that pervade many disparate cultures, and it is this mythology that gives Lucas’s space age epic its timeless resonance. Both of the sequels and the one prequel continued in the same vein and with equally successful. In 1981, Lucas’s work took a step in another direction, with the production of RAIDERS OF THE LOST ARK. RAIDERS OF THE LOST ARK was a 20th-century adventure story about a swashbuckling archeologist, Indiana Jones. Played by Harrison Ford, a long-time Lucas associate, Jones became one of the best loved heroes of the 1980s. For RAIDERS OF THE LOST ARK, Lucas teamed up with another major figure, Steven Spielberg. Spielberg had had great success with JAWS (1977) and CLOSE ENCOUNTERS OF THE THIRD KIND (1977), and brought his sense of suspense to the collaboration. It proved one of the most successful pairings of in Hollywood history. RAIDERS OF THE LOST ARK was followed by two more exceptional pictures in the series and a popular television show featuring the Indiana Jones character. In the late 1970s Lucas formed the production company, Lucas Films Ltd. In Northern California, Lucas’s 2,700-acre state-of-the art production center and “think tank,” Skywalker Ranch, is home to the empire. There, Lucas presides over his vast entertainment company, which now includes THX, Skywalker Sound, and Industrial Light and Magic. In many ways, Skywalker Ranch is the beating heart of the entertainment industry. Constantly at work developing new and higher-quality production methods, Lucas Films Ltd. has a significant influence on many of the most successful contemporary films. 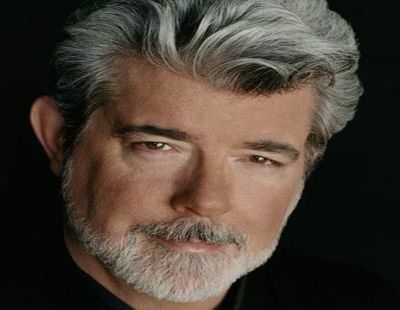 Today, with the second STAR WARS trilogy setting box office records, George Lucas remains one of the most popular filmmakers of all time. For the past few decades, he has been at the forefront of American culture and creative technology both predicting and creating our popular aesthetics. He has collaborated with some of the greats of the industry and has been nominated for 44 Academy Awards (winning 16 Oscars). More than anyone working today, George Lucas has expanded the visual and technological possibilities of the popular cinema, and he continues to delight audiences around the world.